Jason combines a unique ability to see the interdependent aspects of an event and how they all need to come together. This ability, combined with his firm commitment to lead by example from the front, truly sets him apart in the world of Event Management. After racing his first Olympic Distance Triathlon at age 16 and his first Half Ironman at age 19, Jason competed as a top age-group racer into his mid-twenties with three Ironman finishes to his credit. Jason then turned to off-road events such as Adventure Racing, 24hr Solo Mountain Biking and long-distance Cross Country Skiing. 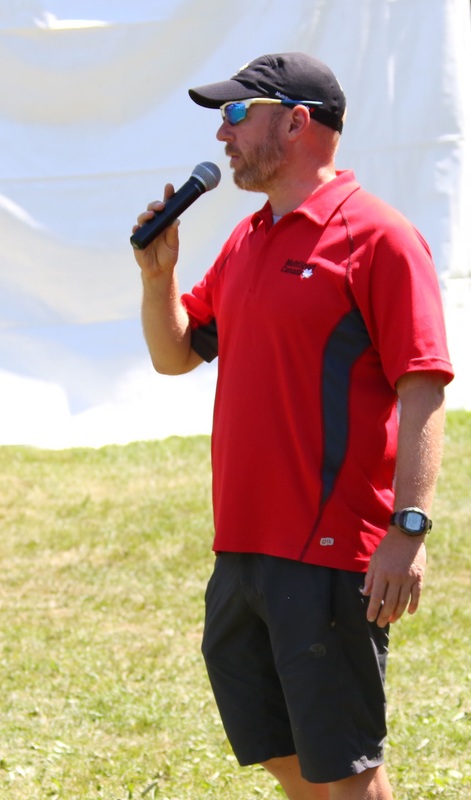 It was during this time that Jason joined John Salt at MultiSport Canada and jumped head-first into the world of event management. Now, nearly 15 years later, John and Jason have built-up MultiSport Canada into the largest Triathlon Series in the country with a reputation for unmatched logistics while always putting their customer’s needs first. Jason has also had the pleasure of working-on some other large-scale events acting as the: Race Director for the Joe’s Team Triathlon; Event Director for Tough Mudder (Toronto 2013); Course Director for Centurion Cycling & EGames (2013 & 2014); Course Director for the Sporting Life 10K; Course Director for the RBC Race for the Kids and, most recently, Event Director for the Highway of Heroes Ride supporting Wounded Warriors Canada. Through these experiences, Jason has come to work with some amazing colleagues, staff, suppliers and volunteers. Jason and his wife Sarah call the forests of Oro-Medonte home with their two children Erik and Anna Liisa. Between events you’ll find Jason blasting down a mountain bike trail in the summer or powering his way down a cross country ski trail in the winter. Still an active racer in many off-road sports, Jason gets fired-up for the start line of any race; whether as a competitor or as an organizer.